I’m excited to let you hear a from Shane Orchard, a great guy from Walla Walla who is an amazing athlete, a positive person who inspires people to be better versions of themselves. I’m grateful he took time out of his busy schedule to answer some questions for us. My name is Shane Orchard, I’ve lived in Walla Walla, Washington for almost all my life and I am proud to call myself a CrossFit coach. I love helping people and changing lives. Before CrossFit I worked as a mechanic at a small dealership for about 5 years before I decided becoming a coach and entrepreneur was much more rewarding. As you look at your life, what are you most proud of? The thing I’m most proud of in my life would have to be by far the starting and growing of Destination CrossFit (DCF) with a group of amazing people who I consider family. When I first became co-owner of DCF I was also working full time as an automotive mechanic. About 6 months into our first year I quit that full time job and put all my effort and energy into this new adventure. I have to say the thing that makes me happiest is when I see others succeed. When I see someone get their pull up for the first time, or when someone comes up, gives me a hug and thanks me for changing their life, that is the best feeling in the world and is the primary reason I love being a part of CrossFit. I used to work in an industry where the exact opposite happened almost every day and I was often hated for trying to help. Believe me, that was a fairly draining experience. What are you afraid of? And how do you deal with it? I would say I’ve never been a very fearful person when it comes to things many people are afraid of like heights, darkness, wild animals etc. which may come from being raised in a very outdoor environment. But what I do have is anxiety that makes me very uncomfortable in some social situations. Typically in the past I have flat out avoided those situations entirely knowing very well the only way to overcome that anxiety is to not avoid it but face it head on. With that being said, life begins outside our comfort zones and I intend to live that life. My first experience at CrossFit was a result of me telling myself “get out of that comfort zone now!” and I have never regretted a moment of that decision. At what point in your life did you start seriously caring about your own health? Really thinking about life choices and my health didn’t happen until I’d say 3 or 4 years into my previous job. I was very unhappy in that environment and I was hanging out with the wrong people who were also going down that same road which I knew was a dead end. One day I was driving down the road and saw a sign that said CrossFit, and the rest is history. My CrossFit journey started around November 2013. What do you enjoy about coaching CrossFit? The thing I enjoy most about coaching CrossFit is knowing I am changing and improving peoples lives. I get the opportunity to work with people from day one of their CrossFit journey and when they finally reach their goals that they have been fighting for its an incredible experience. I am inspired by all the mobility training you’ve done – and continue to do. What challenges do you most often encounter with your own mobility? Thankfully I have relatively good mobility and have never really had challenges when it comes to that. I mobilize daily using various techniques and I can certainly tell a difference in range of motion – primarily in my – hips if I don’t. Why did you decide to get certified with CrossFit Mobility in the first place? Why are you interested in mobility? 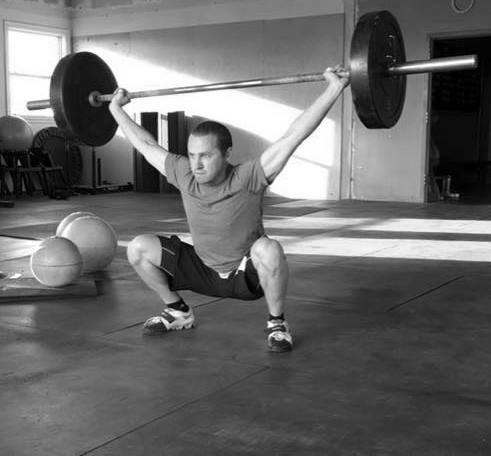 I took the CrossFit mobility course because at the time I was aware a person should be able to take care of their own muscles and joints and that it is an important part of a warm up routine before and even after a workout. I had read Kelly Starrett’s book from beginning to end so the next step was to get that hands on experience. Do you have any hobbies or favorite activities you’d like to share with us? I am a huge outdoor enthusiast who is always outside in the wild looking for adventure. I have a habit of just disappearing because I’ll suddenly get an idea to travel somewhere and off I go. Hiking is also at the top of the list of things I love to do. If I need to clear my head or have a lot to think about, I’ll usually be on a trail somewhere. What’s the best advice you have for people wanting to improve their health and fitness? To improve health, one of the best places to start in my opinion is nutrition. Think of health as a pyramid, nutrition would be at the very bottom of that pyramid, everthing is built on top. And the best way to start improving nutrition is removing added sugars and processed foods. After that, we as humans are built to be on the move and not live a sedentary lifestyle. Try a standing desk, take a break from work frequently and walk around, try a variation of HIIT training. But most importantly, get outside that comfort zone!